New to the scene, Electric Mammoth, are a progressive four-piece from Philadelphia, PA. Electric Mammoth formed this year (2011) and rapidly released their self-titled debut. 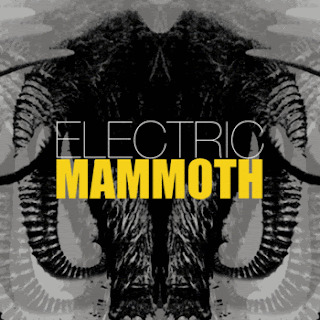 It is difficult to describe the sound Electric Mammoth form. The music is melodic, driven by "dual guitars, dynamic vocals, and a relentless rhythm section." Quite simply, solid rock! ""Huxwhukw" is an eccentric amalgamation of mind-melting, toe-tapping, psychedelic, progressive and poly-rhythmic discordant music, sure to please fans of Meshuggah, Mastodon, Botch, The Mars Volta and King Crimson." Now, don’t run away just because Serious Beak is an instrumental band. The album is so well orchestrated a listener will ignore the so called “missing” vocals. The music twists and turns unendingly… there are moments of intense math-timed chaos and calming ambience. In my opinion, Serious Beak is the deranged spawn of The Dillinger Escape Plan and Sigur Rós. 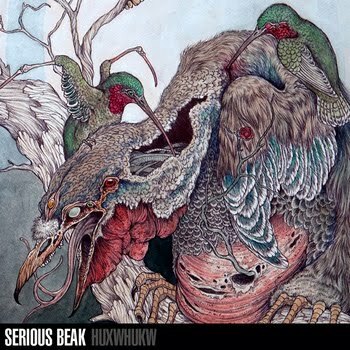 If your ears are looking for diversity, look no further than Serious Beak’s Huxwhukw, now streaming at bandcamp. For those interested… the Huxwhukw is a mythical, supernatural bird that used its long beak to crack open the skulls of men to ear their brains or pluck out there eyes. The creature on the cover is artist Caitlin Hackett’s rendition. More of Caitlin’s work can be seen here.